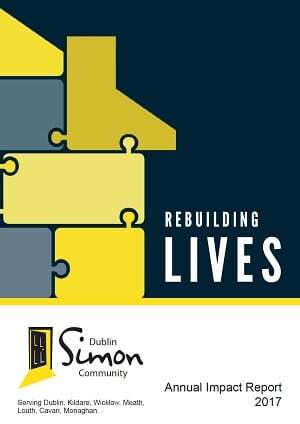 Every year Dublin Simon Community publishes our Annual Review with the yearly information on all aspects of the organisation. 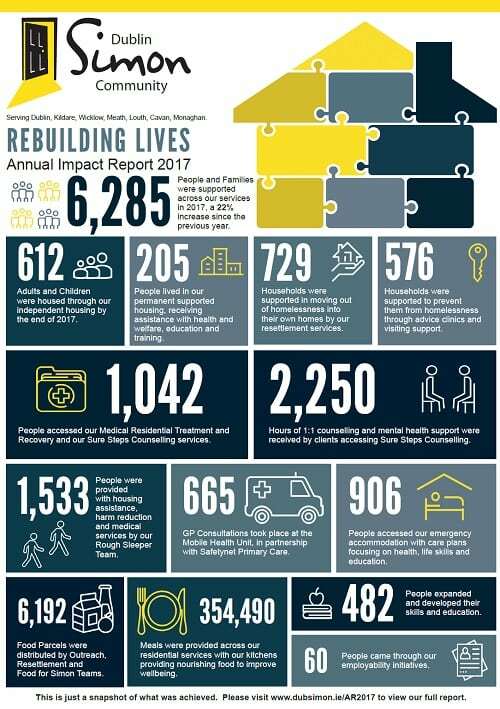 Please click on the link below to view a snapshot of our services in 2017. Please click on the link below to view our full review.